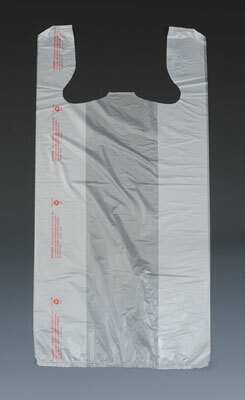 Environmentally friendly t-shirt bags have a d2w additive that helps to reduce volume in landfills. Provides the functionality of standard t-shirt bags to those who are sensitive to environmental issues. 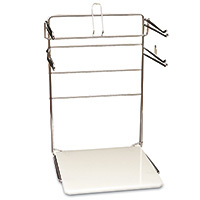 Choose from white or clear bags. 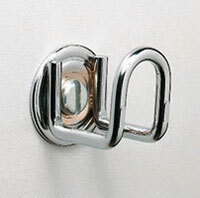 Use with chrome dispenser rack or wall hook (Item Numbers 10-70 and 10-71).